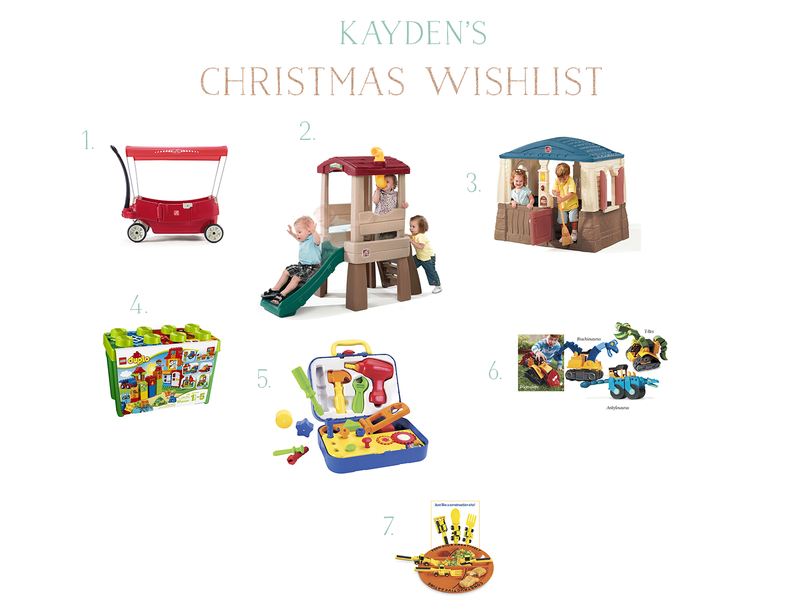 In the past years Kayden clearly wasn't picking out his own toys but this year we actually got catalogs in the mail and Kayden really showed interest in the things I put on his list which made my job a lot easier! I can't tell you how many toys we have over the years that Kayden just got sick of or didn't like in the first place. 2. Step2 Naturally Playful Lookout Treehouse - Our yard isn't really big so the little sets with the slide or like the little house below would be best for us. He loves being outside so outside toys are always a favorite of ours.